When contemplating historical epochs, one tends to measure in centuries, not years. But such is the pace of change in the digital sphere, empires rise and fall quicker than you can say 'MySpace'. It’s been 10 years since we launched We Are Social. In our world, so much can change in a year, let alone a decade. Just consider the fact that, before 2009, WhatsApp, Instagram and Snapchat didn’t even exist. But what comes next? What will the next decade look like? Many of the characteristics of today’s social media landscape – from transparency concerns to the growing role of AI – demonstrate how social media is likely to evolve between now and 2028, and what it will mean for brands. For several years now, social media has been the hidden, interwoven fabric of the web, connecting people, brands and organisations. That in itself is not going to change. 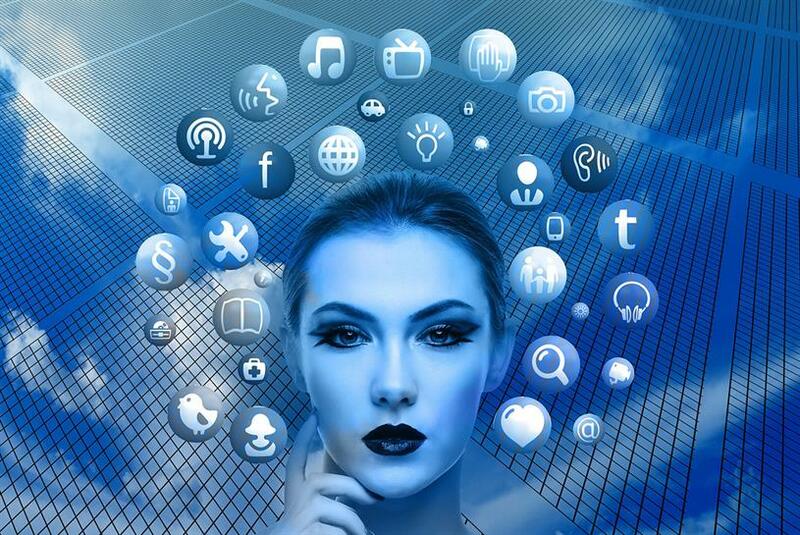 It’s likely in the future, with the proliferation of the Internet of Things, that social media will be the starting point – a personalised hive mind – connecting objects, information and transactions, alongside people. Just consider WeChat. The future is already here in China, and the West will follow suit. The lines between ecommerce, mobile and social have blurred, creating a broad convergence between online and offline retailing. In this way social media will become a platform for not just online growth but everything from brand building and customer engagement through to supply chain operations. Already, social and retail are merging, with the growing abundance of ‘buy now’ functionality in social content. Looking ahead, brand activity will grow in scale and become more deeply embedded in new types of social spaces, like a shoppable 3D world for social users to hang out in. Brands that want to stay relevant need to think about social as integral to their business, not just their marketing and communications. Disrupt yourselves, or be disrupted. Agencies slow to invest, innovate and evolve their social capability won’t be able to keep up with their clients. We need to prepare, too, for a fragmentation of our social world with varying levels of interaction across different social contacts. This will become necessary as the amount of content created by friends, family, colleagues, media and brands reaches critical mass. For brands, cutting through the noise will grow all the more challenging as the deluge of data floods our various devices and realities. But with that comes abundant opportunity. AI-powered bots will play a greater role, continually learning about us in order to streamline our interactions with friends and brands. With AI-optimised interactions, the data consumers generate will be of far more value to brands. However, consumers will better understand this value exchange. By 2028, people’s desire and ability to monetise their own data and influence by selling, trading and transferring the personal information they share with brands and social platforms will be well established. Data will become more political, and tighter regulation (whether imposed by government or industry) will limit the number of Cambridge Analytica-style data scandals, though it’s unlikely to remove them completely. Scoundrels will always find a way. The silver lining is that legally acquired data will provide a far richer picture to brands and their agencies, enabling precision targeting for paid social, a more personalised product experience, and interesting opportunities for content creators to tell stories crafted around individual interests. This is, of course, barely a glimpse into what the future of social will mean for the marketing industry. But the most important thing we must remember, above all, is that though social, data and AI will increasingly dictate our experience of the world – and despite all the shiny toys – we must treat consumers like humans, and not just numbers on a screen. Fortnite has 125 million players - so are we looking in the wrong places for our audiences?